A Defense Department panel has recently proposed that military criminal proceedings be carried out by senior commanders, rather than the service branch of the accused member, especially in cases of combat crimes. The proposal was motivated by growing concerns that the military justice system is broken, citing a rising rate of acquittals and instances of prosecution errors in cases of military members accused of disobeying orders and killing or injuring civilians. The panel highlighted a particular case that recently fell apart in which 8 Marines had been accused of killing 24 Iraqi civilians in Haditha in 2005. By the end of the trial in 2012, the charges had been dropped against six Marines, one Marine was acquitted in a court-martial, and the last agreed to a plea deal to avoid prison time. 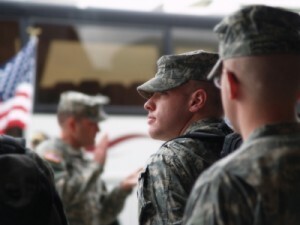 The outcome shocked American military law specialists who questioned whether a branch of service should be allowed to hold its own courts-martial for its own accused members for fear of misplaced loyalties. The proposal suggests that a senior commander in the war zone would have the perspective to maintain discipline across the “theatre of combat operations,” including handling the impact that allegations of murder or abuse committed by American troops might have on the civilian population. The panel’s recommendations and “case studies” highlight the trouble of prosecuting troops for committing combat crimes in war zones. The cases are often delayed by the difficulty of collecting evidence or finding witnesses in such dangerous conditions. As a former Marine, San Diego military defense attorney Joseph H. Low IV understands the military justice system and the complex circumstances that surround combat crimes. He has a track record for taking on tough cases and fighting for his clients. A civilian military lawyer will help defend your rights and career in a combat crime case by investigating the alleged crime, collecting evidence, and making a compelling case for your freedom. Call The Law Offices of Joseph H. Low IV for a free consultation at (888) 454-5569.